Holiday and New Year's Eve Champagne Sold at University Wines in Seattle WA, Including Le Mesnil Grand Cru, Herve Dubois and Guy Charlemagne. When you visit our shop, you may notice that we don't have much in the way of the biggest names from Champagne. This is in keeping with the shop's more general philosophy to provide the best quality for the value. If we can offer an excellent product that comes from next door to some of the highest rated and most renowned Champagne houses at 1/3 the price, then we've done our job. In 1979, we began our annual trips to small producers in Burgundy. We've been going ever since in order to maintain these relationships and pass them on to you, our valued customers. Recently, we decided to do the same in Champagne. 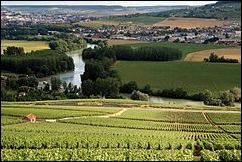 Our focus: Côte des Blancs, where the best Chardonnay vineyards are located. We did our research and found several of the most promising and highly rated grower-producers and we made appointments. Some were so small, we were tasting various vintages around the kitchen table, as we did with the Dubois brothers. The result is that we've cut out the middle man and brought in Champagnes you won't find elsewhere, with quality that far exceeds what you'll find at even greater prices! A fast favorite among champagne connoisseurs, this remarkable co-operative from the heart of Champagne's Côte des Blancs provides the grapes that make up the most prestigious Blanc de Blancs Champagnes in the world. A small amount of these same grapes (ten percent) has been reserved and bottled simply as Le Mesnil, which is home to these famous Chardonnay vines. Don't let this rare blend of superior quality and incredible value pass you by. Blanc de Blancs: Carefully selected grapes from different years, chosen for their particular finesse, this Champagne is perfect as an apéritif, with dessert, or at any other time, day or night. Sublime Rosé: Judiciously assembled from a variety of red wines in the region, try this seductive rosé as an apéritif, a unique pleasure with red meat, or to complement desserts based in red fruit. 2005 Sublime Blanc de Blanc: An exemplary single vintage Champagne that pairs perfectly with poultry or again as an apéritif among friends très privilégiés! "Le Mesnil Grand Cru is a joy from start to finish. The nose is already beginning to develop the toast and brown butter notes of aged Blanc de Blancs, while the palate offers the quintessential Le Mesnil core of concentrated green apple fruit, apple blossom and wet chalk. The texture is creamy and the palate impression generous, yet it is focused by excellent balancing acidity, with the complex yeast derived nuances usually found only in top vintage Champagne." This very small family-owned grower- producer in Avize is a great example of what we like to accomplish at University Wines. It's new to Seattle and won't be found elsewhere. The prices are exceptional and the quality stellar. 2001 "Spéciale Tradition" Blanc de Blancs: In our recent tasting, this wonderful vintage blew us away with its refined elegance. Drinking exquisitely now. 2005 Blanc de Blancs: In the same tasting, we loved this earlier vintage, which we expect to reach extraordinary heights in the coming years. Also from Mesnil-sur-Oger, in the heart of the Côte des Blancs, and next door to Salon, which is one of the most prestigious houses in all of Champagne, it's no wonder this smaller house has been continually recognized as among the best producers. This has long since been a favorite among our loyal customers and we're proud to continue to feature these exceptional Champagnes. In his review of Blanc de Blancs, Champagne guru, Ed McCarthy, not only recommended Guy Charlemagne but noted its relative good value. 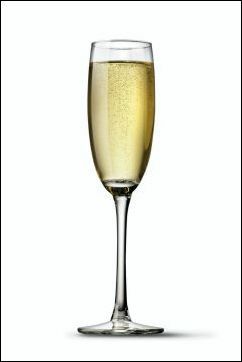 Réserve Brut Blanc de Blancs: Long-time favorite Grand Cru makes for the perfect apéritif. Brut Rosé: Our resident Rosé lover swears by this bottle, which is made exclusively from Pinot Noir. Big houses produce enormous amounts of Champagne and don't always have access to quality grapes. 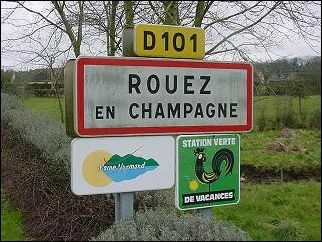 They do not grow their own grapes but must rely on many growers, who do not produce their own Champagne. Add to that the costs of running a huge company, advertising to an exclusive set, and the fact that they will often sell to themselves on the east coast and then again to distributors, by the time these Champagnes get to the poor consumer, the prices are unnecessarily high and do not reflect on the quality of the Champagne. By contrast, grower-producers as the name suggests make their Champagnes with grapes grown on their own vineyards. They are small, family-owned businesses that have been passed down from one generation to the next. They are able to control their production because it remains small and localized. And they do not have the overhead that drives prices so high. Of course the big houses are capable of producing Champagnes of the same superior quality but they are forced to charge three times the price. Here at University Wines, we'd prefer to drink three times as much Champagne for the same price! White from white. That is, Champagne made exclusively from Chardonnay grapes. Only 5% of Champagne is made in this style, which tends to be lighter bodied than traditional blends that include Pinot Noir and Pinot Meunier. That said, Blanc de Blancs are exceptional in their ability to age and gain complexity. Chardonnay grapes grow throughout much of the Champagne region but the Côte des Blancs area is home without doubt to the best of these enchanting vines. And Mesnil-sur-Oger is by far the stand out village within the Côte des Blancs. 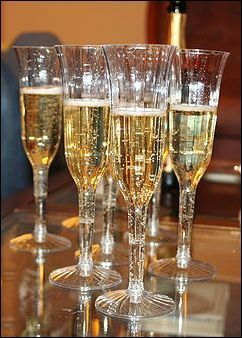 Elegant, light, and dry: Blanc de Blancs Champagnes are perfect as an apéritif and segue beautifully into many first courses of your meal. Non-Vintage Champagne represents the signature taste and style of a particular house. A more accurate term might multi-vintage because blends will be made from more than one year and usually more than one vineyard. A particular bottle might contain 30 wines in order to achieve the desired result. 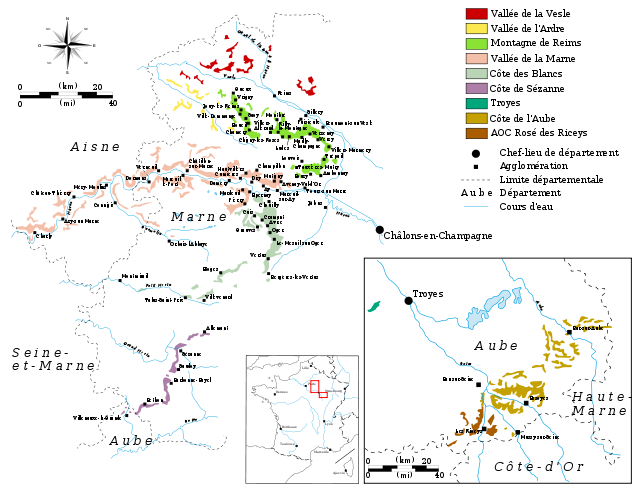 As a region, Champagne does not have consistently good grape-growing weather so it is often necessary to combine multiple vintages in order to meet supply demands and achieve a set standard. 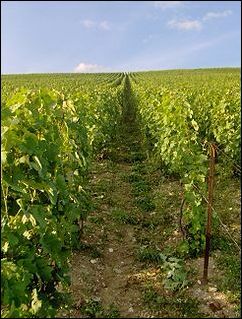 Vintage Champagnes are not made every year but, rather, in years with particularly good grape-growing weather. By law, Vintage Champagne must be produced from grapes from one year only. Because of the higher expectations and prices associated with Vintage Champagnes, producers will often opt to forego production during less conducive years. Why is Vintage Champagne Better? Combine the best grapes from the best vineyards, at least 2 or 3 years more age, and a year when Mother Nature has done her best to create optimal conditions for grapes and what do you get? A more complex, more mature Champagne with a greater concentration of aromas and flavors. Refined elegance! !